People deem her kissing her baby Kavia James on the mouth problematic instead of an affectionate one. 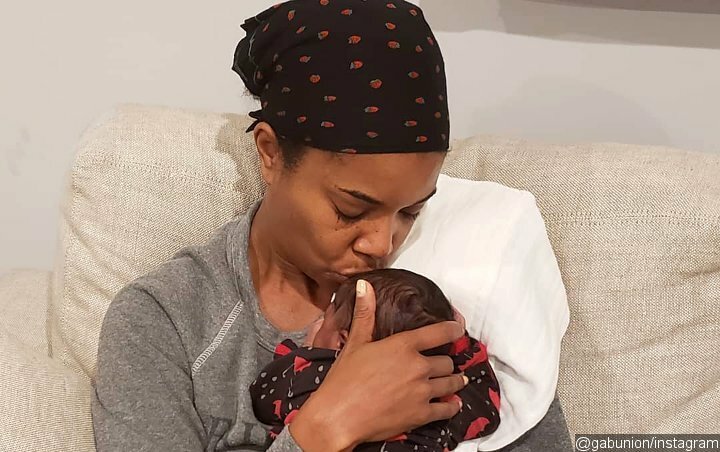 AceShowbiz – New mom Gabrielle Union is the latest victim of online mom-shaming. The “Bring It On” actress recently shared on Instagram a sweet video of her and her firstborn baby Kavia James on her lips multiple times. People, however, deemed the gesture problematic instead of an affectionate one. “Kissing Game. She’s got my (heart emoji) on a string,” so the actress captioned the video. Prior to this, her husband Dwyane Wade faced the same backlash. The 46-year-old basketball star was snapped lovingly planting a kiss on his baby daughter. “Don’t kiss that baby on the mouth… Newborns can’t deal with sickness because of their immune system,” a fan snarked.